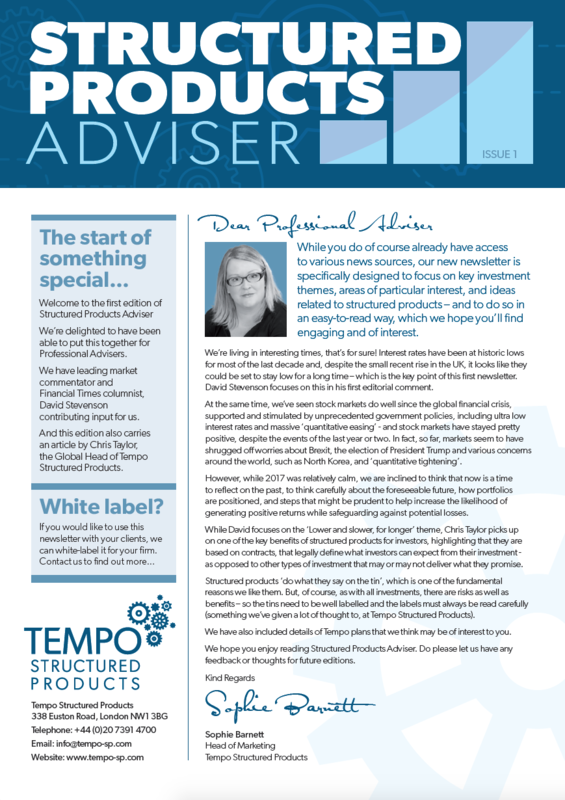 We produce a twice-yearly newsletter for professional advisers, called ‘Structured Products Adviser’. In addition, we have designed the newsletter so that it can be white-labelled for professional advisers to send to their own clients. We have engaged knowledgeable and thought-provoking individuals – such as Financial Times, MoneyWeek and Investment Week columnist David Stevenson, and well-known asset management veteran Graham Bentley – to provide editorial input, and contribute to our investment thinking, and help us consider professional advisers’ and investors’ interests and needs. We also cover news and views from the structured products world, including a round-up of products seen in the market – and highlight a particular product of interest in the ‘Product Spotlight’ section. 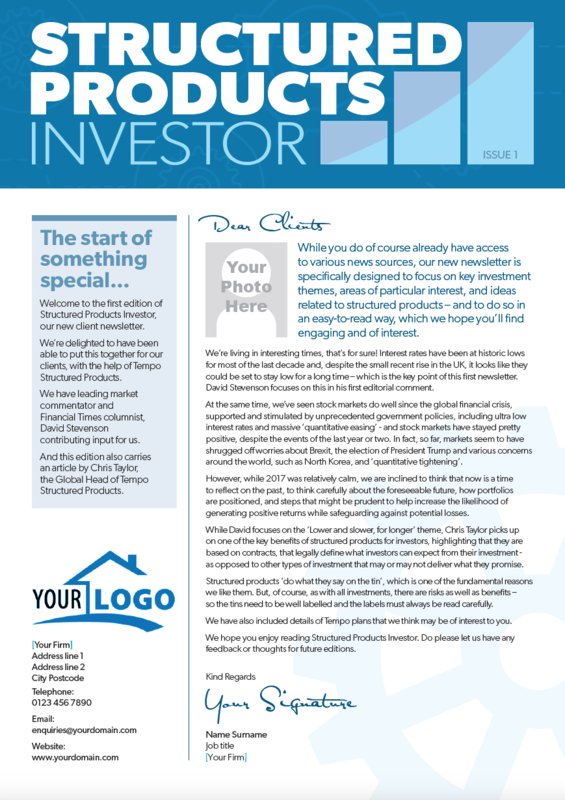 It’s well worth a look – and if you have clients who are interested in structured products the white-labelled version offers a ready-made client newsletter, Structured Products Investor, which we can fully personalise with your firm’s details (including company logo, company details, personalised message from the firm, etc. ), for your firm’s use. To see our newsletter, including the white-label version for professional adviser use, please click below.